Iris is turned four on Monday. This, I felt, called for a non-book related post. *Gasp* Back in Singapore, kid’s birthday parties have become yet another aspect of life to compete tooth and hangdog nail at. Parents splash out on venues, entertainment, cakes and photography. Frankly, it’s a little scary, because seriously, what kind of parent are you if you don’t book that playground with a balloon artist, metre-high fondant cake, photographer AND videographer?! But it is really good if you want to start an indoor play gym/outdoor water playground or any kind of kid’s entertainment. The thing I found most ridiculous to spend money on was the cake. Don’t get me wrong, I totally understand why parents, who are 90% of the time, both working their poor butts off, would rather just spend the money for someone else to make a cake. 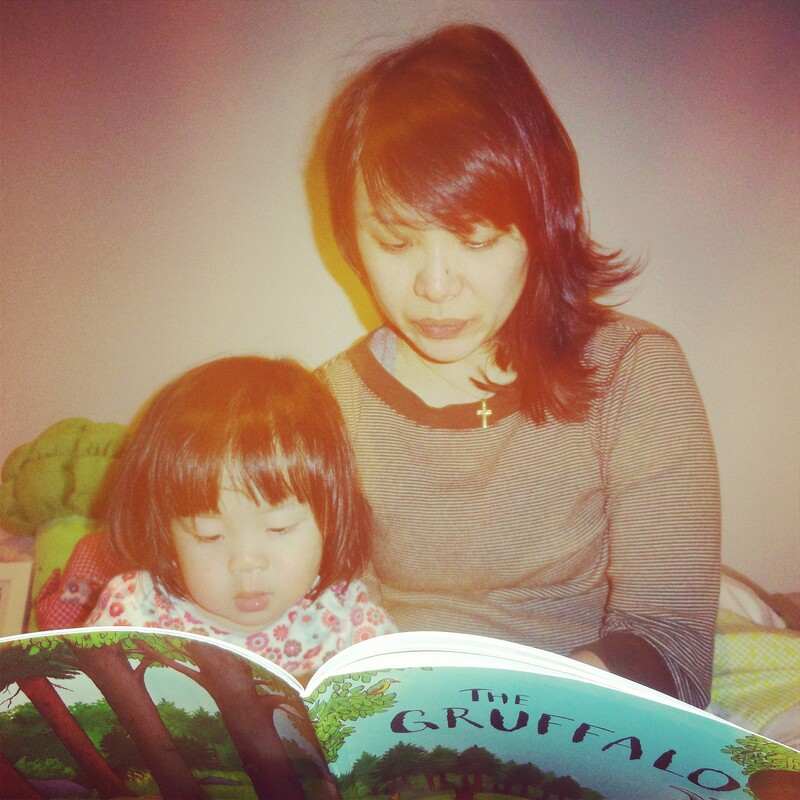 After all, we succumbed to it for Iris’s first birthday. We didn’t get the fancy venue (it was at my parents’ house), entertainment (we rented a foam play structure) or even a photographer (thanks Jay! ), so we got one of those cakes. The theme was, obviously, the farm. I had everything in theme, cups, napkins, goody bag treats and even the balloons. The cake, while spectacular looking, like most cakes of its kind was very average in taste. Plus you can’t even keep the figurines. Quite possibly one of the most useless $250 we spent. In fact, I’d go as far as to say if I could do it over, I wouldn’t, at all! She doesn’t remember it, nor did she particularly enjoy it as a significant day. Sure she got lots of presents, but again, she was too young to appreciate them. Take note parents-to-be! 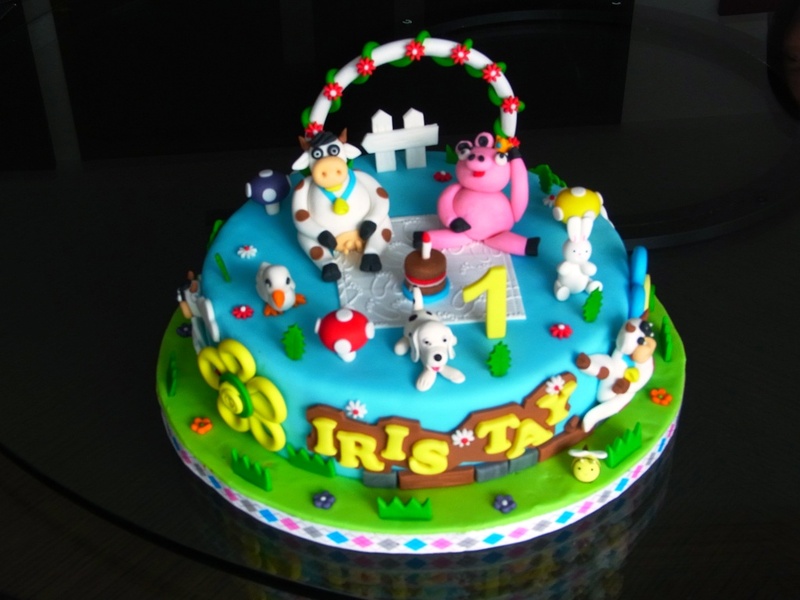 Do not bother with first or even second birthdays. Focus on the fourth and beyond and ignore later questions of why there were no photos of first and second birthday parties. 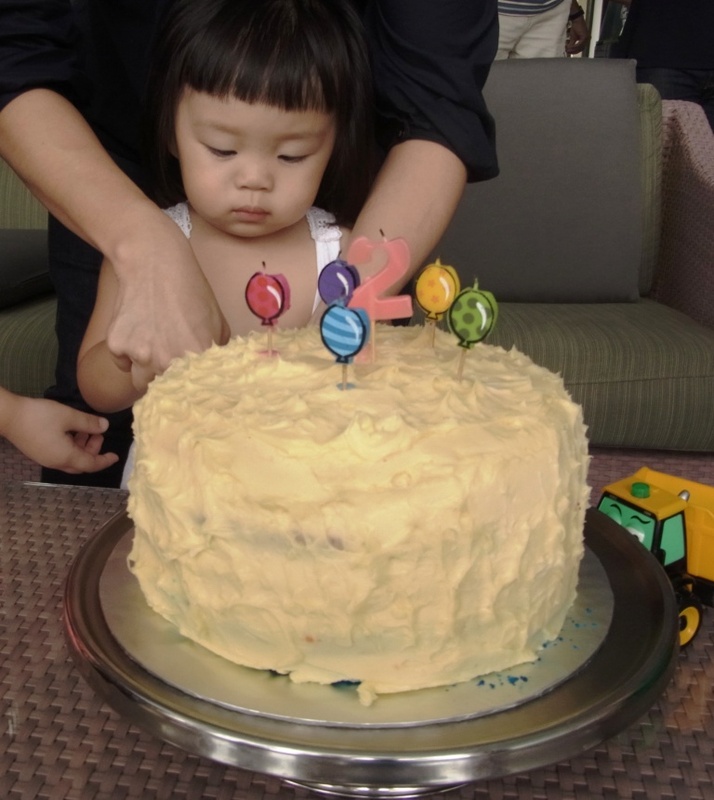 For her second birthday, I decided to make the cake myself, a tradition which continues. I’ve had a mild thing for baking since my mid-teens. This grew into a proper hobby once I moved out and had my own kitchen. My problem, however, was that I had to wait for an occasion to bake cakes (I will not, contrary to popular thought, consume an entire cake on my own). So here was my chance. I even went so far as to practice making the cake twice to get the look and taste right. It was important that I had both. My cake was NOT going to be a bimbo fondant cake. After three and a half hours’ work the night before, I made a rainbow cake with cream cheese frosting. I lost the pictures of the inside when some #*$& stole my phone but it was a rainbow cake. A proper one with six colours/layers. It was quite humongous, not terribly well frosted and we made the mistake of waiting too long to cut it. Hence we had a lot of leftover cake, but I did receive lots of compliments. Her third birthday saw my technique improve as well as one of my strokes of genius. 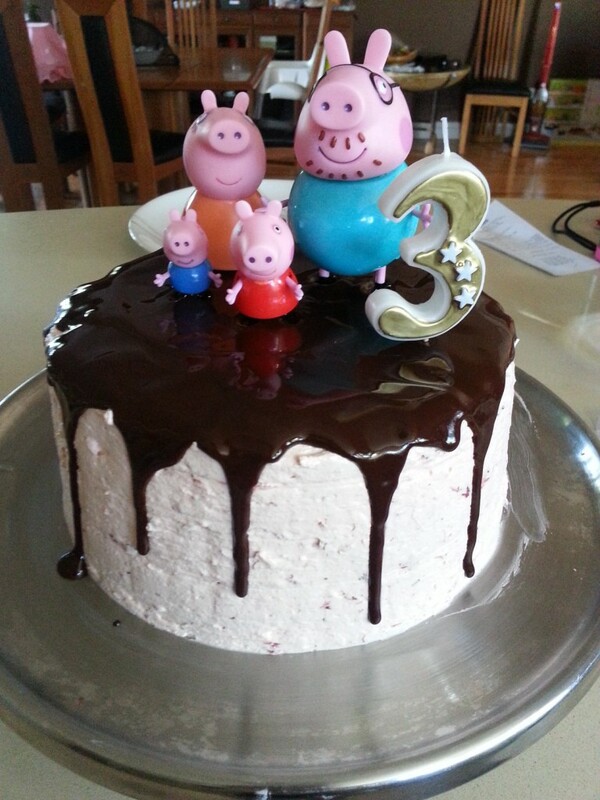 The theme was Peppa Pig, because Iris, like almost every other girl child in Australia, England and anywhere showing Peppa Pig, absolutely loves it. It’s amazing how a cartoon with such simple artistry can be so entertaining, even for adults! Big balloon, big balloon, bigger than the moon….Anyway, I copied the design of this cake from Sweetapolita, but instead of slaving away at fondant figures that would have probably looked all wrong and couldn’t be kept/played with, I ordered plastic figurines and stuck them in the top! The chocolate is supposed to look like a muddy puddle, BTW, for those familiar with the show. It tasted divine because I had found THE CHOCOLATE CAKE recipe. No, I’m not going to share it. This year, we hired a Shetland pony for the party so that became the theme. It’s always better/easier to have a theme. Incidentally, we thought it would be a simple affair as the kids would be entertained by the pony and the playground and we’d only provide finger food. WE WERE WRONG. Even the simplest of parties can be completely knackering. 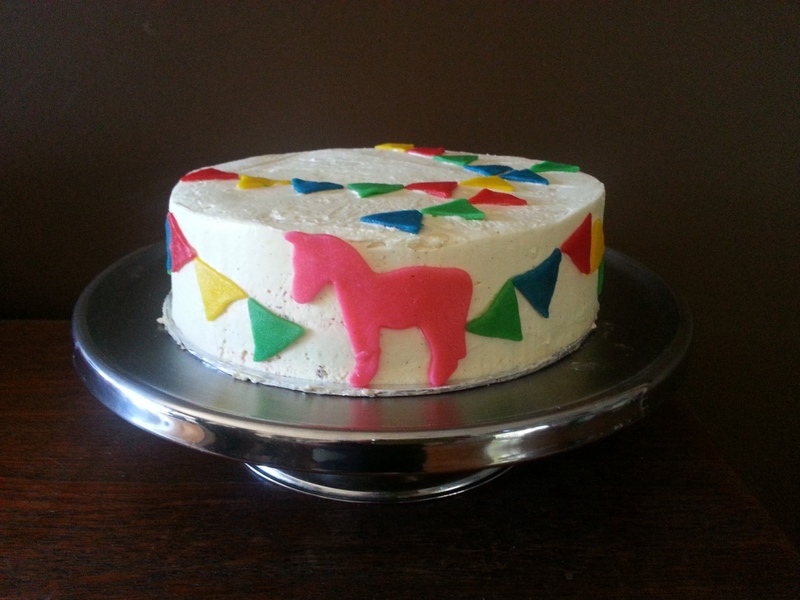 For the cake, I took inspiration from one of my favourite food bloggers’, my name is yeh, funfetti and pony cakes. I am still recovering from all this birthday business. I think I might borrow my friend’s idea and only have parties every alternate year. Or maybe not. Think she’ll have outgrown mermaids by then? Love your cakes. They are wonderful. I love children’s parties. A chance for a little magic.